For 16 years Sarah Glover has made a career as a chef in Tasmania, Sydney and New York but these days you rarely find her in a kitchen, the outdoors is where she now plies her trade. The fascination with cooking in the wild has long been with Sarah Glover, but was reignited when she returned to Tasmania. There, on the sands of a beach and deep in the heart of the island she first called home, she realised her kitchen didn’t need to be constructed to a metal bench under fluorescent lights, but rather it should – be taken outdoors. These days, Sarah Glover caters events with her over-the-fire ways, runs a cookie company called Bondi Bikkies, and has just released her first cookbook Wild. 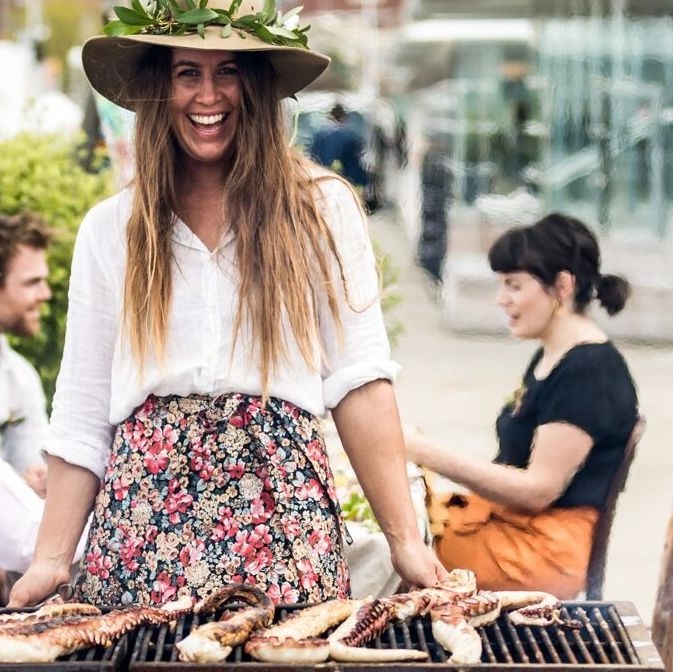 We’re excited to have Sarah visit Flinders Island for the Furneaux Islands Festival – teaming up with Jesse McTavish & Scott Stevenson at the Friday Supper & Show and the Community BBQ Day to bring you a fabulous wild feast!